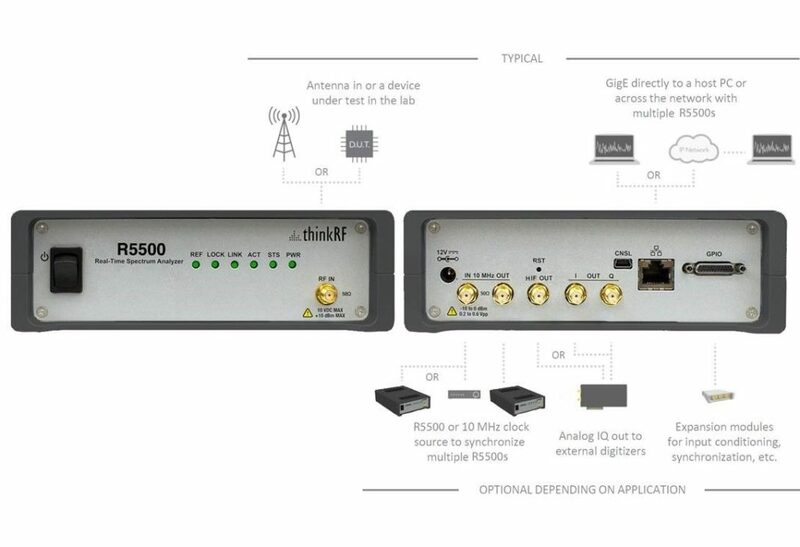 The ThinkRF R5500 is built on innovative and highly optimizable software-defined radio technologies that provide more flexibility, greater coverage, and increased functionality. 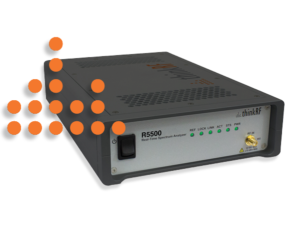 Designed and built for spectrum monitoring and deployment applications, the ThinkRF R5500 analyzer enables in-depth analysis of complex and wideband waveforms in challenging spectrum environments. 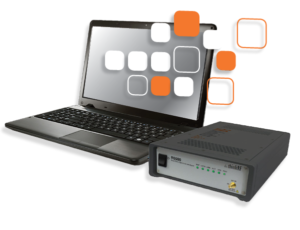 Monitor in more locations with networking capabilities purpose built for remote and in-place spectrum monitoring. Standard GigE interface and streaming rates of 360 Mbit/s make the ThinkRF R5500 analyzer ideal for dispersed and continuous monitoring in any location. Enable a wide range of spectrum analysis applications while staying on budget with the best price-performance ratio available. 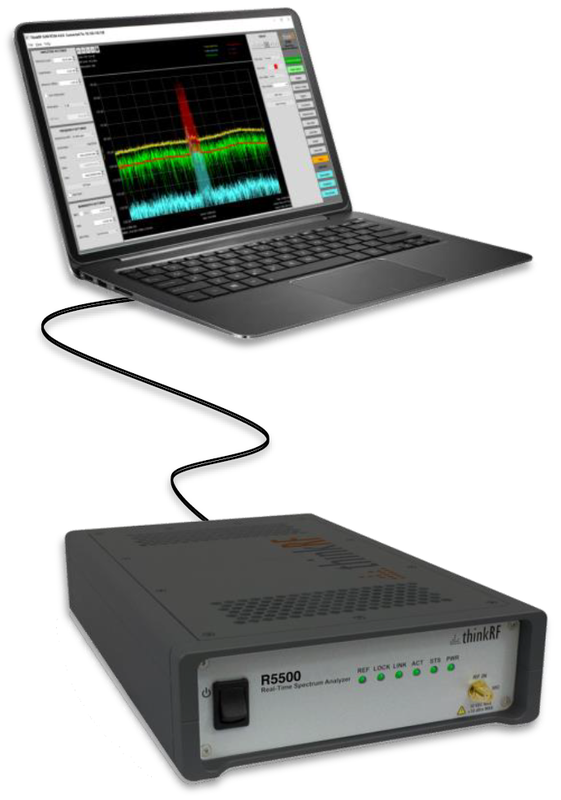 Up to 27 GHz frequency range, 160 MHz IBW, 28 GHz/s stream rate, and a deep dynamic range means the ThinkRF R5500 analyzer can capture and analyze complex modern waveforms in real-time. Leverage advances in computing and networking by connecting to any standard PC. The easily upgradable ThinkRF R5500 analyzer is compact, lightweight, and low power, making it perfect for deployment in the field, on vehicles, or as part of a larger solution. Contact Sales to learn more about how the ThinkRF R5500 Real-Time Spectrum Analyzer can help you.